The Tri City Americans have the three best overage forwards in the Western Hockey League. Want proof? Examine Thursday night's 5-1 win over the visiting Kelowna Rockets. Twenty year-old Brendan Shinnimin scored three times and added an assist as the Americans won for the 9th straight time on home ice. Two of Shinnimin's three goals came on shorthanded breakaways to break open a 1-1 game. Both goals were set up by fellow overager Mason Wilgosh. While not his productive self, 20 year-old leading scorer Adam Hughesman chipped in with an assist as the Americans earned their 28th win of the season. Despite what appears to be a lopsided score at games end, the Americans could have been pushed harder had the Rockets been able to capitalize on several great scoring chances. Two-first period power plays stand out along with Filip Vasko's breakaway miss when the Americans had a 3-1 lead. Had the Rockets rookie scored on that glorious second period chance, we would have been in for a great finish. I will say this. The Rockets overall work ethic was far superior than what we witnessed two night's earlier in a 4-1 home ice loss to Spokane. Had the Rockets played as hard as they did Thursday night, they would have earned their 15th win of the season by now. When you are a good team, like the Americans are, you capitalize on every mistake the opposition makes and you make your opponent earn everything they get. For starters, for Shinnimin to score twice, once by shooting the puck and the other by deking goaltender Adam Brown, is awfully impressive. A lesser player would have certainly been shut down by one of those attempts on a quality goaltender like Brown. Much like Patrick Holland's first period goal and Brian William's power play marker in the third period, both odd man rushes resulted in the puck being deposited in the back of the net. The elite teams do that. They close on ever opportunity they get. The Americans finish in spectacular fashion. Colton Sissons scored the Rockets lone goal, a power play goal just 27 seconds into the second period to tie the game at one. It was Sissons 100th career WHL game and 21st goal of the season. Brett Bulmer's 10 game point streak came to an end. Bulmer did get into a third period scrap after a questionable hit in front of the Rockets bench on Am's forward Brian Williams. Bulmer engaged in a fight with Jordan Messier, marking the 17th time in 20 games this season he has sat in the penalty box. The crowd. Outstanding. Close to 5 thousand strong took in the game and made a truck load of noise. Oh, that horn that blows when the Americans score is worth it's weight in gold. With 19 year-old Mitchell Chapman ill, 17 year-old Tanner Moar played the entire game on defense. I know the Rockets are trying to convert him to a forward, but that big body presence and easy outlet pass mentality looks good on him. To be honest, I like Moar better as a d-man than as a forward. He picked on a European player to register his first career WHL scrap, but 15 year-old rookie Ryan Donaldson took off his cage late in the third period for a tussle with Malte Stromwell. I think I even saw Americans head coach Jim Hiller chuckle after the fight was through. Speaking of Hiller, how much fun must it be for him to watch his team play? Ryan Huska often talks about the 2009 WHL championship team that had top end talent and were a joy to coach. Keeping them motivated was his greatest obstacle that season as things appeared to come easy in the offensive zone. Hiller finds himself in a similar situation where he has several players that can carry the mail. You have to love Bob Tory. The Americans GM greeted me as I was exiting the broadcast booth following the game. Small gesture I suppose, but how can you not cheer for a guy who has again put another tremendous team on the ice? I told him flat out that he needs to acquire another key piece to make his team even better. Not like he needs my advice, but a team like his only comes around once in a blue moon, so when you have a chance to win, and win big, trading an asset for short term gain in my opinion is the logical move. You don't see Tory making too many ill advised moves when acquiring players, so my belief is he will make a trade only if he thinks it is appropriate. If I have noticed one thing about the Americans organization, despite all of their successes, it has been their humble approach. I don't perceive Jim Hiller as being cocky or arrogant and clearly Bob Tory is as approachable as they come. From Media Relations guru Dan Mulhausen to radio voice Craig West, the Americans organization carry themselves in such a way that others should emulate. They win, but they don't carry that 'we are better than you' persona with them. And if they do, maybe they just hide it better than another team that isn't afraid to hide their confident swagger. Adam Brown took the loss in goal, but in the process moved within striking distance of hitting the 10 thousand minutes played mark. Brown has played 9 thousand 994 minutes and will hit the milestone in his next start. Only Seattle's Calvin Pickard has played over 10 thousand minutes among active WHL goalies. If absolutely none of what I have written in this blog entry makes sense, consider that it was posted at 4 am somewhere between the border and Penticton with little to no sleep. 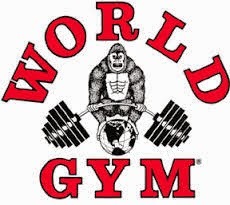 I like to do my own game prep rather than relying on the opposition team to feed me what I should know. Here are some of the things I will use on the broadcast tonight during stoppages in play. The Americans have 27 wins this season in just 34 games. Kamloops is next closest at 25 victories. Only two other teams in the entire CHL have more wins this season than the Americans (27). The Quebec Remparts have 28 wins...the Saint John Sea Dogs have 28 wins. No team in the OHL has 27 wins this season. The Americans have won 8 straight home games and haven’t lost since October 25th in a 5-4 loss to the visiting Victoria Royals. The only other loss on home ice came to the Brandon Wheat Kings in a 3-2 loss October 14th. The Tri City Americans and Kelowna Rockets are separated by 21 points in the standings. The Americans have as many wins on home ice (14) as the Rockets have this entire season. The Rockets have 9 home ice wins and 5 road victories. The Rockets have just two regular season wins in Tri City dating back to the 2005-2006 season. The Rockets are 2-10-0-0 in their last 12 visits here. The Rockets were a 4-3 winner February 25, 2006 and beat the Americans 4-3 back on January 23rd of last season. The Rockets have had success in their final game before entering the new year. In the last four seasons, the Rockets have won their last game before striking in the new year. Last season they beat Kamloops 7-1 on Dec 30th. The last time the Rockets failed to win a game before striking in the new year was December 30, 2006 when they fell 6-4 to the visiting Moose Jaw Warriors. 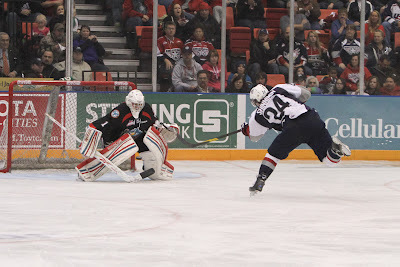 Adam Hughesman is the Americans leading scorer. Hughesman has averaged 1.7 points per game this season. Brett Bulmer, the hottest Rockets forward, has averaged 1.5 points per game in the 19 he’s played this season. Brett Bulmer is riding a 10 game point streak, the longest point streak of his WHL career. Bulmer has 11+5=16 over that stretch. Shane McColgan had a ten game point streak from October 7th to the 26th with 4 goals and 8 assists. The longest point streak in the WHL this season is Mark Stone’s 18 gamer where the Brandon Wheat King captain had 14 goals and 23 assists for 37 points. Americans forward Brendan Shinnimin had the longest point streak in the WHL last season – 21 games –. Which Rocket had the longest point streak last season? Zach Franko went 13 games with a point, recording 9 goals and 9 assists. 12 of Colton Sissons 20 goals this season have been scored on home ice. Brett Bulmer has 28 points in 19 games this season. Adam Hughesman has 35 points in his last 19 games. Adam Brown enters tonight’s game with 9 thousand 934 minutes played. He will surpass the 10 thousand minutes played mark in his next start. The Kelowna Rockets were 21-15-0-0 after 36 games last season. This season they are 14-17-2-3. While the Rockets have 7 fewer wins, it only equates to nine fewer points. We have officially approached the halfway point of the 2011-2012 season for the Kelowna Rockets. I thought it was time to issue my first half team awards at the 36 game mark. Here are my winners. If you disagree, leave a comment and tell me what you see. The 18 year-old leads the Rockets in goals (20), power play goals (10) and is the teams most consistent worker. He is hard on pucks, will engage you in the corner and never gives up no matter what the scoreboard indicates. The youngest captain in Kelowna Rockets history, Sissons is attempting to become the first forward since Scott Parker to be taken in the opening round of the NHL draft. Runner up: Shane McColgan. McColgan leads the team in points, something he accomplished as a 17 year-old last season. On most nights, McColgan is just behind Sissons in the hard work department. His 26 assists leads the team in that category. Not much was expected from the 17 year-old American when he cracked the opening day roster. His, as cool as a cucumber exterior, and willingness to compete has seen the Arlington Texas resident make huge strides on a young defensive core. Choosing to swim rather than sink in the deep waters he entered as a WHL rookie, Martin is proving he can play with the big boys despite weighing just 170 pounds. Lees has played in just 16 games because of injury and the under 17's. If Lees was healthy and had played more, he could have been my winner at mid season. Every time I see him play I see a huge upside. Martin logged big minutes on a recent Saskatchewan road trip and played against the other teams top lines. Not bad for a 17 year-old who still needs to fill out. Forget the point totals. They are irrelevant. A minus 1 rating for someone who has played 34 games is impressive. Watch specifically how Martin recovers after being beat. No Rockets defender does it better in recovering after being caught flat footed. Runner Up: Damon Severson. You can't ignore his 20 points and hard shot. Severson will be a high draft pick and will likely be a shoe-in to win the award next season. With the trade of Colton Jobke to Regina, the 19 year-old was relied upon to play an increased shutdown role. Rarely on the score sheet, Chapman blocks shots, fights the other teams toughest player and does whatever the coaches ask of him. Runner Up: Carter Rigby. The 17 year-old's 10 goals after 29 games is impressive. With 16 points, Rigby is the top scorer among first year players and has arguable one of the heaviest shots on the team. Rigby could be more selfish and shoot the puck more and rarely fights, but when he does, it shows that he is not a one trick pony. Rigby is also showing success at the face-off circle. Rookie Of The Year: Tyson Baillie. Just 15 when the season started, this rookie forward continues to improve at an impressive rate. With six goals in 35 games, Baillie isn't having the offensive success he had when he led the team in pre-season scoring, but Baillie leads the team in plus-minus with a +9. Baillie's leadership role at the Under 17's will only help his game. Every time I see him play, I think of Tyler Spurgeon. No energy. No jump. No execution. A nine day layoff for the Christmas holidays came back to bite the Kelowna Rockets in a disappointing 4-1 loss Tuesday night to the visiting Spokane Chiefs. The Chiefs, winners of just three road games prior to the Christmas holidays, scored two power play goals in their 16th win of the season. The victory also moved the Chiefs four points up on the Rockets for 5th place in the Western Conference. The two teams meet again in just eight days. You knew this would be a tough night when the Rockets manufactured just four shots on goal in the opening period. With a standing room only crowd of 62 hundred fans wanting to get their hockey fix, the home team disappointed despite receiving three power play chances in the opening frame. The Rockets have no one to blame but themselves as they saw their home record drop to 9-9-0-1. Had it not been for goaltender Adam Brown, the Rockets could have been in a much larger hole then just being down 1-0 after 20 minutes. Brown made some solid stops throughout the night and was clearly the only player ready to compete for the full 60 minutes. Veterans Cody Chikie and Myles Bell returned the line up Tuesday night. Both players missed the entire Eastern Conference road trip after being sidelined with injuries. Bell earned an assist on Brett Bulmer late third period goal while Chikie had a tremendous chance in the second period but was stoned by Chiefs goaltender Mac Engel. Engel won't get much credit at the end of the night, but the veteran goaltender did come through with some big saves, including denying rookie forward Filip Vasko of his first career WHL goal in the third period. Bulmer's goal extended his point streak to a career high 10 games. Rookie 15 year-old forward Justin Kirkland earned his first career WHL point with an assist on Bulmer's third period goal. The Chiefs won the game without leading point getter Anthony Bardaro. Bardaro was reportedly sick but looked no worse for wear as he sat in the press box laughing it up with a teammate. Rockets defenceman Mitchell Chapman left the game after becoming ill. The loss of the 19 year-old allowed rookie Tanner Moar to play some significant minutes back on the blue line. 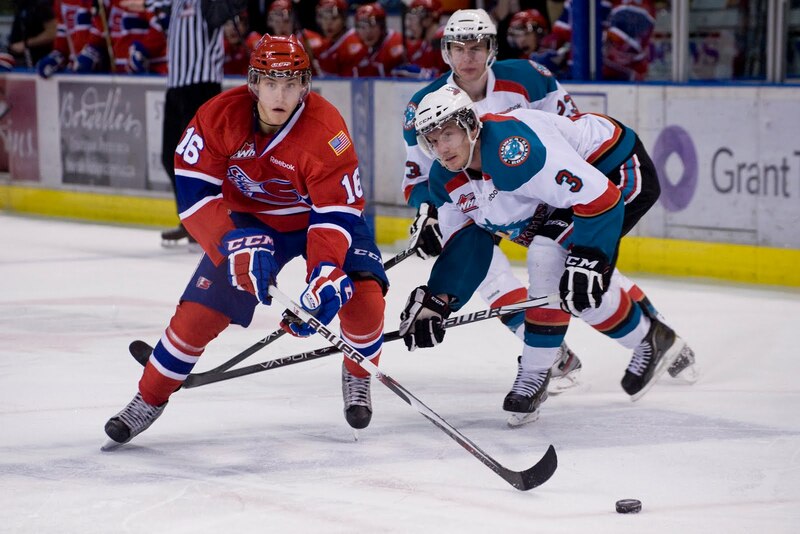 Tonight’s Preview: The Kelowna Rockets hit the halfway point of the 2011-2012 regular season tonight when they host the Spokane Chiefs. This is the second of four meetings between the two teams this season. The Rockets suffered a 5-1 loss in Spokane back on October 8th. In that game, the Rockets registered a season low 12 shots on net and received their lone goal from Cody Chikie. Following tonight’s game these two teams meet again at Prospera Place on January 4th before wrapping up the seasonal series March 7th in Spokane. The Rockets are coming off a six game Eastern Conference road trip prior to Christmas. During that road swing the Rockets were 2-2-0-2, with wins over Regina and Saskatoon and shootout losses in Swift Current and Prince Albert. Overall, they were out-scored 19-17 in the six games. Following tonight’s game the Rockets open a portion of their scheduling playing seven of their next nine games on the road, including a stop in Tri City on Thursday. Who’s Hot: Brett Bulmer has twenty-seven points in eighteen games (13+14=27). Bulmer is riding a nine game point streak (9+4=13). Bulmer has goals in five of his last six games and has ten goals in his last nine games…Shane McColgan has six points (3+3=6) in his last seven games…Carter Rigby has four goals in his last eight games and (4+5=9) in his last 8 games…Adam Brown has started in goal in twenty-five of the first thirty-five games…Colton Sissons has thirteen goals in his last eighteen games and has three more goals than the 17 scored in 63 games last season. This and That: For the fifth straight season the Rockets open the post-Christmas schedule on home ice. Last season the Rockets beat visiting Everett 4-0 in their first game after the Christmas break. 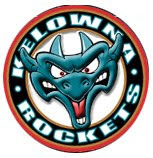 The last time the Rockets played a game on the road following the break was December 2006 in a 3-2 win in Chilliwack….The Last season the Rockets were 10-5-0-0 in 15 games after the Christmas break. Included in that successful stretch was a six game winning streak to end the month of January….In their last five wins, the Rockets have given up two or less goals per game…The Rockets are 9-5-1-3 with Brett Bulmer in the line-up….Head Coach Ryan Huska is an assistant coach on Team Canada while Jeff Thorburn is an athletic therapist….Huska was a member of the Team Canada coaching staff last year. 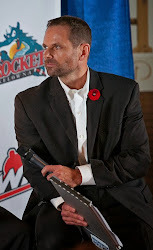 Huska is the fourth Rockets’ coach to represent Team Canada. Marcel Comeau and Marc Habscheid have been head coaches while Jeff Truitt was a video coach….The Rockets have sent 11 players to represent Canada at the WJHC…Tyrell Goulbourne has eight fighting majors this season.… The Rockets are 1-7-0-1 when giving up five or more goals…Last season they gave up five or more goals in ten games…NHL Central Scouting has rated captain Colton Sissons as the 6th top skater available from the WHL for the 2012 draft….Jesse Lees and Tyson Baillie are playing with Team Pacific at the Under 17 World Hockey Challenge in Windsor, Ontario…Madison Bowey is on Team West for the Under 17 World Hockey Challenge…The Rockets have been involved in seventeen-one goal games this season. The Rockets are 7-5-1-4 in those seventeen games…The Rockets are playing their 1476th regular season game tonight and will hit the 15 hundred mark when they host Red Deer on February 18th…Ryan Huska has 170 wins behind the Rockets bench…The Rockets have scored a power play goal in nineteen of their last twenty-seven games….Mitchell Chapman has one more point (7) than the six he collected all of last season…Filip Vasko is playing for Slovakia at the World Junior Hockey Championships. Shane McColgan has 174 career points in 176 career games. Mitchell Chapman played in his 125th WHL game November 5th. Brett Bulmer now has 116 career points. Damon Severson played in his 100th career game December 10th in Moose Jaw. Adam Brown has 96 career wins, most of any active WHL goaltender. What's going on with Zak Stebner? What do you remember about the 2002-2003 team that not only scored a lot of goals (312), but also won the franchises first WHL title? Guard: "It took a lot of pressure off the goalies. We had guys like (Jesse) Schultz, (Ryan) Cuthbert and guys like that chipping in. It was a real fun year. The coaching staff...it was one of the best experiences of my life." Marc Habscheid and Jeff Truitt were a pretty good duo as coaches weren't they? Guard: "He (Habscheid) kept you on your toes. We had Jeff Truitt back there too, so he was a real players coach. I think that really evened it out. Marc got the guys to play every night and it worked out in the end". 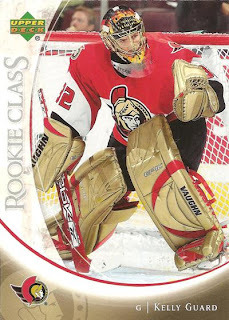 You won the league title but didn't play as well at the 2003 Memorial Cup. What happened there? Guard: "I think the expectations were a little much for some guys. For me, it was my first year in the league. It was my first Memorial Cup and I was really nervous and I didn't really know what to expect. The time change and a different style of hockey that none of us had every experienced, so it was a lot to overcome all at once". The good news is, a season later, you won the Memorial Cup at the 2004 tournament in Kelowna. Guard: "When you ever look back at a national championship and you chipped in a little to win it, it feels good to know that you were there with the boys. Even now I keep track of where they are now. I am pretty proud to say I played with them back in junior". Guard: "I loved playing the game. Being at the rink every day was awesome. I think being away from home kinda caught up to me. I played a lot of hockey at a young age...every since I was 17 I was on a team that was going late into the playoffs. It all kinda added up and I just wanted to settle down and start a career". Guard: "I still play, but it's not competitive. I really don't get that edge anymore. I miss having the team guys around and all those things you do after wards and all the relationships you develop." You set a couple of WHL records. The career shutout record of 19 was broken. Were you surprised that Seattle's Bryan Bridges broke it so quickly? Guard: "I thought some goalie playing four years would break it pretty easy. The one I don't think, I hope doesn't get broken is the goals against average. It ended up being pretty low (1.73). I really didn't keep track of it until the last season there. I keep track every once in a while to see if anyone is close". Did you get the credit you deserved over the two years you played in Kelowna? Guard: "Sometimes I did get enough credit and sometimes not. That is always the case with goaltenders. They are either the hero or the goat. Awards wise and the experience in the pro leagues that I got worked out for me. I had a lot of fun. I couldn't have expected better than what I got". Guard: "I own my own goaltending consulting business. I work with a lot of young goaltenders in Northern Saskatchewan here with hockey associations and the aboriginal people up north." Note: Guard still holds the league record for lowest goals against average 1.56, career average 1.73 and is tied with Darcy Kuemper and Bryan Bridges for most shutouts in a season with 13. Carter Rigby in the penalty box in Prince Albert. Yep, the picture is taken from my broadcast location at the Art Hauser Centre. The final score in Saskatoon. Not a bad performance by a team with an average age of 17.5 years. A look at my broadcast location in Saskatoon. 15 - The number of games between the last time the Rockets gave up just a single goal. Saturday's 5-1 win in Saskatoon was the first time since a 2-1 shootout victory to the Edmonton Oil Kings on November 11th that the team gave up just one goal. 9 - The number of games the Rockets played from the start of December to the pre-Christmas break. Those nine games were played in just 15 days. 6 - The number of road wins the Rockets had in 2006-2007 when they missed the playoffs. This years team recorded their 5th road win in Saskatoon. 17 - The number of road games the Rockets have played this season. After Christmas the Rockets will play seven of their next ten games on the road. 4 - The number of 20 goal scorers on the team last season. Geordie Wudrick, Mitchell Callahan, Evan Bloodoff and Shane McColgan. This season only Colton Sissons has hit the 20 goal plateau, yet we are not even half way through the season. 4 - The number of players that have dressed for all 35 regular season games this season. With all the injuries, only Colton Sissons, Zach Franko, Tyson Baillie and Mitchell Chapman have dressed in all 35. Last season Franko, Kevin Smith and Evan Bloodoff managed to play in all 72 games. 16 - The number of points earned from BC Division opponents this season. 5 - The number of 16 year-old or younger players the team dressed Saturday night in a 5-1 win over Saskatoon. 15 - The number of games left against BC Division opponents. 9 - The number of games left against teams in the Central Division. 33 - The number of points Zach Franko is on pace to record this season. That would be a 20 point drop from last season. 30 - The number of points Franko recorded after Christmas. Franko had 23 points at the Christmas break last season. 4 - The number of wins Adam Brown is shy of for 100 in his WHL career. Medicine Hat's Tyler Bunz has 95 career victories as a comparison. 18 - The number of night's the Rockets have been in a hotel this season. 2,634 - The number of kilometers the Rockets traveled on a Eastern Conference road trip. That excludes the trip back from Saskatoon to Kelowna. Add that in and the number changes to 3,843 k. Road sick yet? 17.5 - The average age of the Rockets line up Saturday night. 2 - The number of three games in three night's the Rockets play in the second half. If you missed it, here is my interview with Prince Albert Raiders d-man Antoine Corbin before Friday's game. Corbin's WHL career started with the Kelowna Rockets. The Kelowna Rockets left Saskatchewan on a high note Saturday night with a 5-1 win over the Saskatoon Blades. Carter Rigby scored once and added two assists as the Rockets won for the 14th time this season. Colton Sissons, with his team leading 20th goal, was one of five different goal scorers as the Rockets concluded the Eastern Conference road trip with a record of 2-2-0-2.
lack of discipline by the Blades were huge factors in the game. The Rockets went 3 for 7 with the extra man and didn't allowed a goal on five Blades power plays. Sissons, Rigby and Brett Bulmer all scored power plays goals as the Rockets led 3-1 and 4-1 at the period breaks. It marked the fourth time this season the Rockets have scored three power play goals in one game. Adam Brown was named the games first star with a 37 saves performance. Brown's best work came in the third period when the Blades attempted to rally back. On this night a third period collapse by the visitors wasn't going to happen as the Rockets MVP from last season was on his game. It is awfully impressive to see two- 16 year-old's opening and closing out the scoring. Rookie Tyson Baillie gets it started less than two minutes into the game and then rookie Jesse Lees scored arguably the nicest goal with a nice individual effort to make it a 5-1 game. Lees played the game as a forward and didn't look out of place. Lees and fellow 16 year-old Madison Bowey have taken huge strides in the last half of this trip. Again, the Rockets played this game without seven regulars. They dressed five players 16 or younger. The Blades dressed just one. Former Kelowna Rockets defenceman Zak Stebner joined me in the first intermission in Saskatoon Saturday night. Stebner is now with the U of S Huskies. Kelowna Rockets rookie Tanner Moar had a solid cheering section at last night's game in Prince Albert. Was all of Canwood, Saskatchewan there? These two guys deserve a lot of credit. Art Fraser (in red) and Gary Creed have been busy keeping the Rockets healthy enough to ice a team. Sixteen year-old Stewart Coyle made his WHL debut last night in Prince Albert. Me thinks the level of play was a little different than what he is used too in the KIJHL. I never knew Santa Claus resides in Saskatoon. This 'character' was hanging outside of our hotel in Saskatoon before we left for Prince Albert. I had to take a pic. Hotel food in a banquet room. It was good for the first week and now I don't want to see another scrambled egg until the new year. The set up at the hotel in Saskatoon was solid though. I would recommend the Hilton Garden Inn for your next stop. Let's play Swift Current trivia. Detroit likes Damon Severson. Get in line.